Dr Louise Hardy writes about the importance of children learning fundamental movement skills. can also lead to children being more active and fit in their adolescent years. Regrettably, we are failing our children by limiting their opportunities to learn and develop FMS. There’s a misconception that children naturally acquire these skills. Rather, they need specific guidance to develop them in a way that allows them to feel confident to participate in games (and sports) involving skills such as running, jumping or kicking. Ideally, FMS should be developed during early childhood and primary school through a range of opportunities such as unstructured active play, interactions with parents, siblings and caregivers, and quality physical education, school sport and community-based programs. Sadly, many children enter secondary school without having mastered many of these basic skills. NSW is the only (known) jurisdiction internationally that has a system in place to regularly monitor children’s FMS. The NSW Schools Physical Activity and Nutrition Survey (SPANS), monitored the weight and weight-related behaviours of school-age children. FMS was first assessed in the 1997 survey, then regularly since. 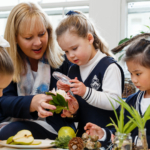 Now at the fifth in a series of school-based surveys of NSW school students, it provides valuable trend information on the weight status and associated behaviours of a representative sample of 7,556 NSW school students in Kindergarten and Years 2, 4, 6, 8 and 10, conducted in Term 1, 2015. The findings are potentially indicative of Australian children in general. While there are many different types of movement skills, those monitored are foundation skills for games and sports popular among school-age children such as ball sports, dance and gymnastics. Findings in the 2010 SPANS showed very few children demonstrated competency in sprint running, vertical jumping (used for basketball, netball, rugby, Australian rules and dance), over-arm throwing (used for softball and cricket), catching or kicking a stationary ball. So what does ‘competent’ mean? (4) their non-support leg bent about 90 degrees (close to buttocks). By observing each component of a skill we can identify where practice is needed. Research in Victorian schools suggests it takes 240 to 600 minutes of instruction for the average student to master one of these skills. Most children should demonstrate competency of less-complex FMS, including the sprint run, vertical jump, catch, side gallop and over-arm throw, by the end of Year 4 (about nine years of age), and more-complex FMS, including the leap and kick, by the end of Year 5. In response to the 1997 survey, which revealed low levels of FMS competency, the NSW Department of Education (as it was then known) developed the booklet Get Skilled: Get Active, which was distributed to all schools in the State as a resource for generalist and physical-education teachers on FMS instruction. This led to improvements when children were reassessed in the 2004 survey, however, findings from the 2010 SPANS showed children’s FMS competency had not continued to improve, and too many children still lacked basic movement skills. For example, less than 10 per cent of girls in Year 6 could kick a ball or throw over-arm competently, and only one in five Year 6 children could competently sprint, run or jump vertically. What are the key findings from the most recent SPANS in 2015? • High levels of ‘screen time’ (TV, computer, smartphone and tablet devices). Other unfavourable changes include a significant increase in children and adolescents being driven to school, with over half of children and 1 in 5 adolescents being driven to school in 2015. It is recommended children aged five to 18 spend at least 60 minutes per day in moderate-to-vigorous physical activity; that is, physical activity at an intensity that increases the heart rate and causes some huffing and puffing. However, less than half of primary-school-age children actually meet this recommendation. Strategies need to ensure children acquire these simple FMS so physically active play becomes a default behaviour, rather than sedentary behaviours such as television, console games and computers. This will require cooperation and commitment between communities, families, public-health, education and early-childhood sectors, as well as changes to current government and organisational policy and practice. Professional-development programs for early-childhood workers, which directly focus on FMS and physical activity, are limited. A good starting point might be mandating pre-service training of early-childhood workers on the delivery of games and activities that promote FMS in fun and creative ways, as well as helping childcare settings to develop physical-activity policies to guide practice. Similarly, there has been a decline in physical-education (PE) specialists in Australian primary schools, and teachers with little or no training are delivering PE and sports programs in many schools. As well, enhancing physical activity in schools will not be easy, given the often-competing pressures of retaining a strong focus on literacy and numeracy. The Australian Curriculum, Assessment and Reporting Authority (ACARA) indicates an allocation of 80 hours per year for health and physical education (HPE), which is used as a guide by writers developing the curriculum. However, these time allocations will be determined by education authorities in each State or Territory, or by individual schools. In schools where the principal has a direct influence on hiring of staff, the parents-and-citizens group could advocate for specialist physical-education teachers and ensure the provision of quality HPE programs accompanied by appropriate teacher resources and ongoing training. While schools can certainly play a key role in promoting and improving children’s FMS, parents are in a better position to provide immediate solutions. We need to raise parents’ awareness of the importance of teaching these basic skills to increase the likelihood of their children engaging in active play, on their own or with friends. Just as parents help children take their first steps, they also need to continue their child’s development of movement skills through active play. Children need opportunities to develop proprioperception (spatial orientation and perception of movement) during their pre-school years. 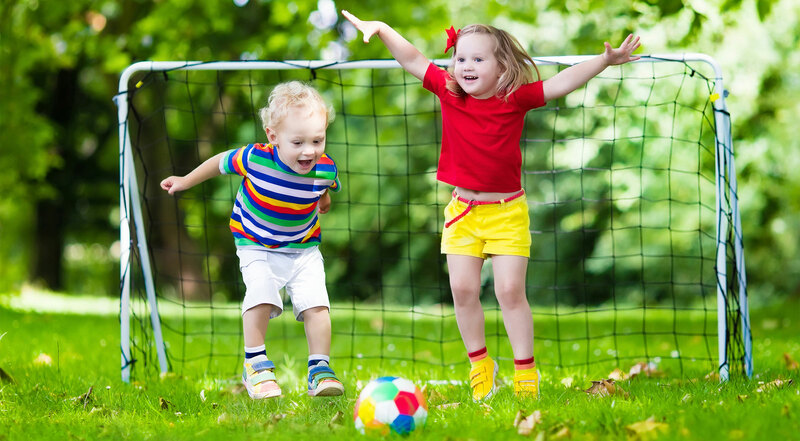 Such opportunities include giving children equipment such as balls to develop object-control skills (kicking, throwing and catching), marking out the ground with chalk to promote locomotor skills (hopping, jumping and leaping) and most importantly, playing games with children that focus on developing these skills. Developing children’s FMS doesn’t mean providing them with skills solely for playing sport. FMS are necessary lifelong skills. Participation in organised sport will further refine a child’s FMS, and provide good health and psychosocial benefits, including the opportunity to acquire new skills, interact with other children, meet challenges, develop team skills and potentially improve self-esteem and self-confidence. However, without the necessary basic FMS, children are less likely to enjoy participating. One area of concern recently has been the proliferation of activity console games or ‘exer-games’, which have been promoted as a way to encourage children’s physical activity and motor-skill development. There is no evidence exer-gaming improves children’s FMS. These games do not provide feedback on skill performance or achieve the necessary loading on muscle and bone that builds strong bones during childhood. 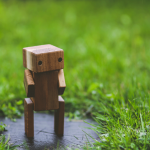 Further, these games do not offer the fresh air, vitamin D or connection with nature or social interactions that come with outdoor active play. Playing games with young children that are fun, inclusive and skill-based will help prepare them to participate in a wide variety of physical activities with greater success and enjoyment. Developing FMS during early childhood and the primary-school years is important, because they have the potential to enable children to participate successfully in games and sports during adolescence and adulthood, and once learned, these skills are retained for life. Dr Louise L. Hardy is a Senior Research Fellow and specialist in child-obesity epidemiologist at the Prevention Research Collaboration, University of Sydney. A Melbourne Early Learning Centre explains the difference between Early Learning and Kindy and Pre-School.